Our bikes not only cost us a lot of money, but they are also works of art that we like to keep in pristine condition. 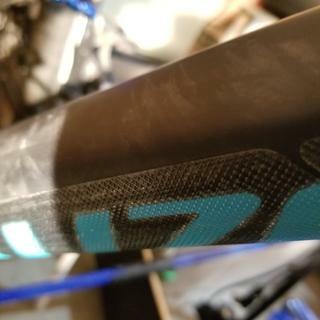 Especially in this day and age of high tech carbon fiber frames we must do whatever we can to protect the frames from sustaining damage while we are riding them. That’s where Foundation Frame Protection Tape comes into play. 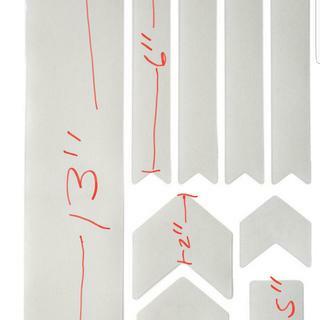 This 10 piece pack comes with protective tape of various shapes and sizes to help guard your bike against chain slap, rock dings, and cable rub. Done in a clear finish so your bikes natural luster can shine through. 10 piece pack provides plenty of protection for your bike. 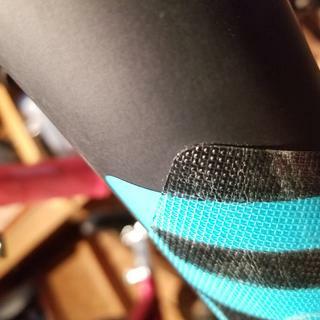 Clear tape so your bikes finish shines through. 14 mils thick for maximum protection. Considering it is roughly half price of the competition, I would say it is pretty solid. I think it will do a great job protecting my down and other areas. I wish Jenson sold it in an XL size so I could my entire downtube in one piece. Not impressed with this products usability. I wasn't too impressed with this frame protectant film. It doesn't have a clean suttle appearance when installed on the bike. It is very durable and thick which also causes it to not stick well on tight curved parts of the frame. It tends to peel back up. Is this material the same or similar to the All Mountain Style product? BEST ANSWER: It is very similar to the All Mountain Style. what is the width of largest pieces? 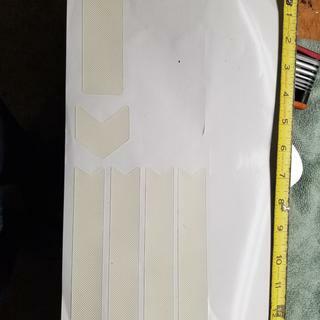 I am looking to know fit for a L or XL frame, if it is wide enough. We're working on an updated image showing the sizes of each piece. In the meantime, the big piece is 330x65mm.